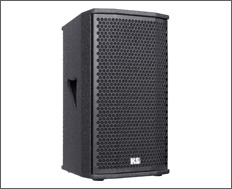 Welcome to the KS Audio Professional Live PA Speaker Systems Top Boxes line. 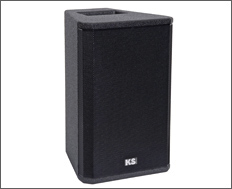 KS technology provides the sonic advantage with these live / PA loudspeakers, giving you complete control over your sound stage and dispersion. 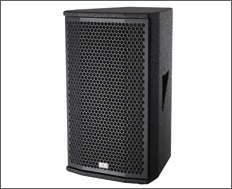 The CPD 08 powered and CL 208 unpowered are powerful "top box" live / PA loudspeakers. The CPD 08 features FIR Control DSP for incredible accuracy and efficiency. 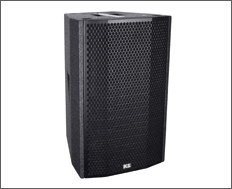 The CPD 10 powered and C 10 unpowered loudspeakers feature HDSP technology, and the CPD 10 has full Firtec DSP for complete control of your sound. The CPD 1214 powered and C 1214 unpowered loudspeakers feature a horn-loaded coaxial system with perfectly balanced directivity. The CPD 15 powered is one of the most versatile DSP loudspeakers available today. Featuring Firtec DSP and Audio Over Ethernet, this amazing loudspeaker can be wired via ethernet directly to your console or your PC. 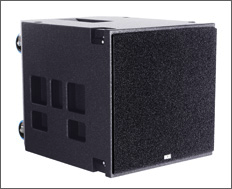 The CPD 1 powered and C 1 unpowered loudspeakers feature HDSP for incredibly wide and dynamic sound dispersion, and the CPD 1 also has FIR Control DSP. The CPD 12 powered and C 12 unpowered loudspeakers are powerhouses with HDSP, Firtec DSP, and an incredible peak performance. 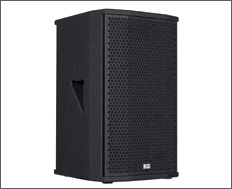 The T4 unpowered loudspeaker is the first choice of German Opera and Play houses… it's an incredibly accurate, dynamic live / PA loudspeaker.